Dwellop supplies mission-critical topside handling equipment for well intervention, workover and plug & abandonment (P&A) operations. The company develops and delivers a wide range of high-quality topside handling equipment to clients within the well intervention and P&A markets. Dwellop’s topside handling products focus on operational safety, efficiency and cost, in order to provide equipment for safer and more cost-effective operations. Dwellop also delivers solutions such as weather deck hoists, various masts to optimise operations, reel movers for easier handling of reels without using cranes or forklifts, and various solutions to enhance well intervention operations. Dwellop’s work-over units range from standalone solutions, which are mobilised and installed on offshore installations, to cantilevered solutions for jack-ups or liftboats. 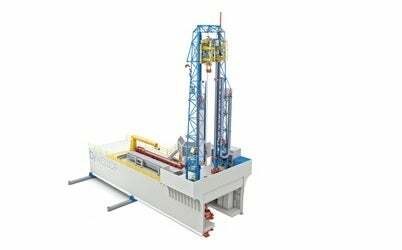 All concepts are based on proven technology and bridge the gap between coiled tubing and jack-up / drilling rigs. Focused on the specified working environment, the company’s designs are based on a redundancy and fail-safe philosophy to increase safety and minimise rig downtime to enable easy access for maintenance and service. Dwellop also provides modular drilling units with remote-operated drill floor equipment, fully equipped drillers cabin with an optimal view towards the well-centre and pipe-deck, and anti-collision systems to protect equipment. Dwellop provides products to contribute towards cost-effective and safe operations. During its working processes, the company consistently focuses on quality, safety and lifetime cost. Dwellop also supports clients with additional services regarding custom design, specialist engineering analysis and general customer support. It also follows up deliveries by assisting with installation, commissioning and training, as well as the required service, maintenance and spare parts during operation. Originally founded in 1989 as JMC, Dwellop was established in February 2014 as a result of a management buy-out of Rolls-Royce’s well intervention division. Initially delivering high-quality products for well intervention operations, JMC identified and targeted a market for comprehensive handling systems for workover, P&A and light drilling applications. Dwellop now provides cost-efficient and high-quality equipment for well intervention operations, in addition to further developing and capitalising on its experience with comprehensive systems such as modular drilling rigs. Norway's Dwellop AS is pleased to announce the signing of a new partnership agreement with Abu Dhabi-based firm Gulf Marine Services (GMS), one of the world's leading suppliers of self-propelled, self-elevating support vessels (SESVs). Dwellop is a Norway-based company that specialises in the provision of robust and cost-effective topside handling equipment for use during well plug and abandonment (P&A) and well intervention activities. Badger Explorer ASA has recently signed a Letter of Intent (LoI) to acquire all outstanding shares in Norway-based technology provider Dwellop AS.